Since 1960, Henry Ford II wanted to have a Ford race at Le Mans. After dealings with Ferrari fell through, Ford decided to produce his own car and began negotiations with Lola Cars manager Eric Broadley. The agreement between the two called for a yearlong collaboration that included the sale of two Lola MK 6 chassis to Ford. Soon after Ford hired ex-Aston Martin team manager John Wyer to work with Ford Motor Co. engineer Roy Lunn on what was to become the Ford GT. 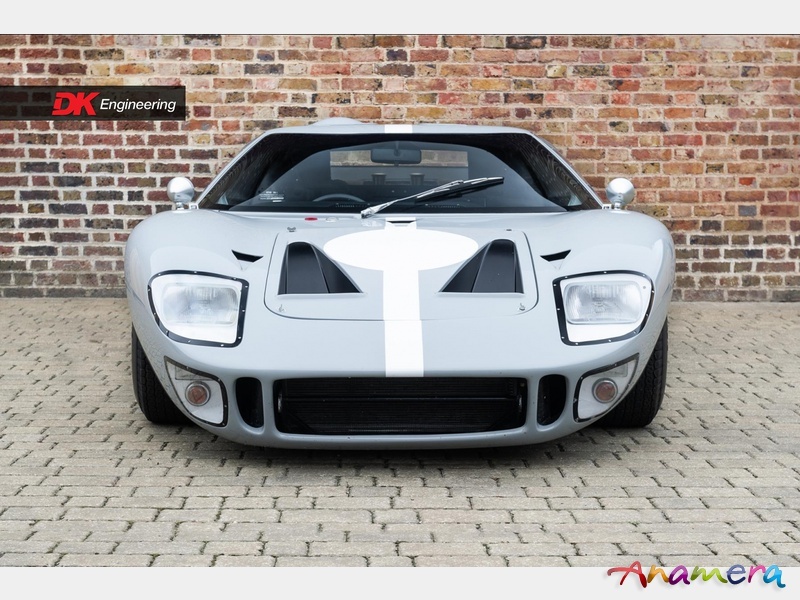 The original GT40 and MK1, designed by Lunn, was prepared at the specially established, Ford Advanced Vehicles in the UK. 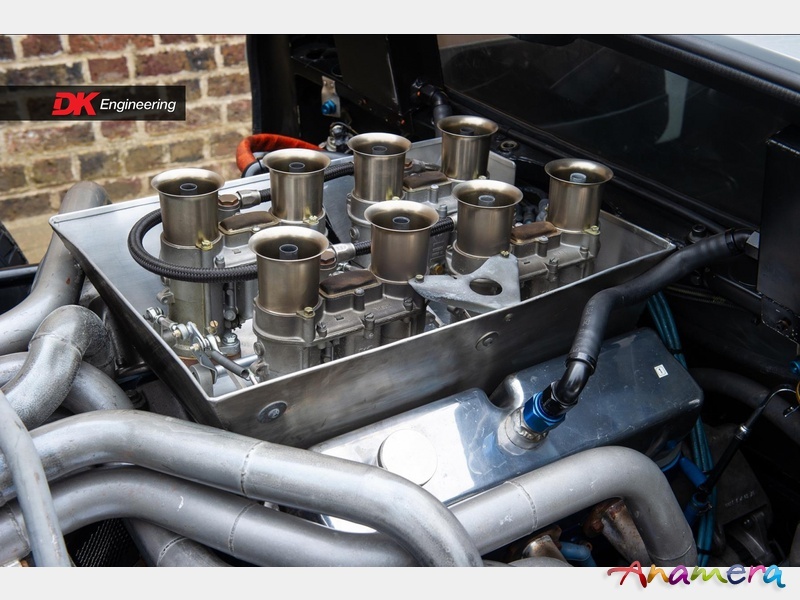 Abbey Panels constructed the advanced monocoque chassis and the drive train finally chosen was the 289 Ford V8 mated to a Coletti transaxle. 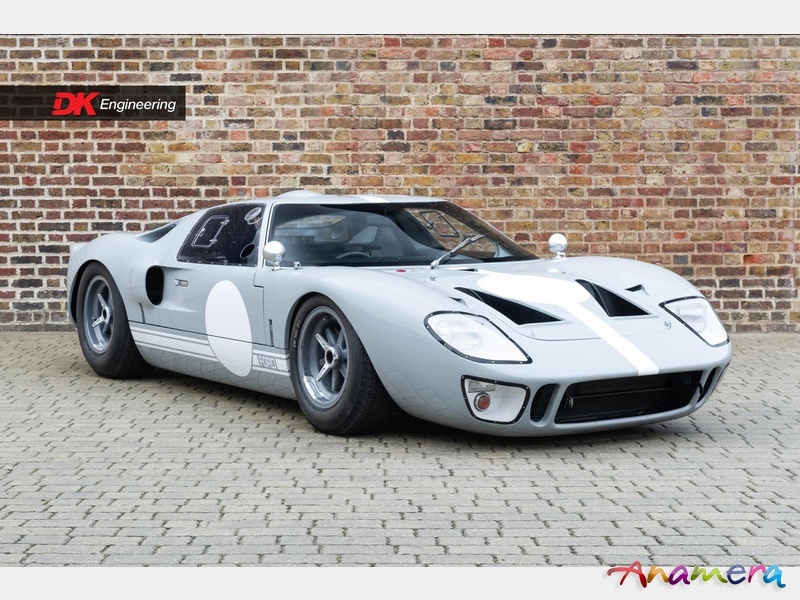 During the GT40's racing history a variety of Ford engines and ultimately a ZF transaxle were used. 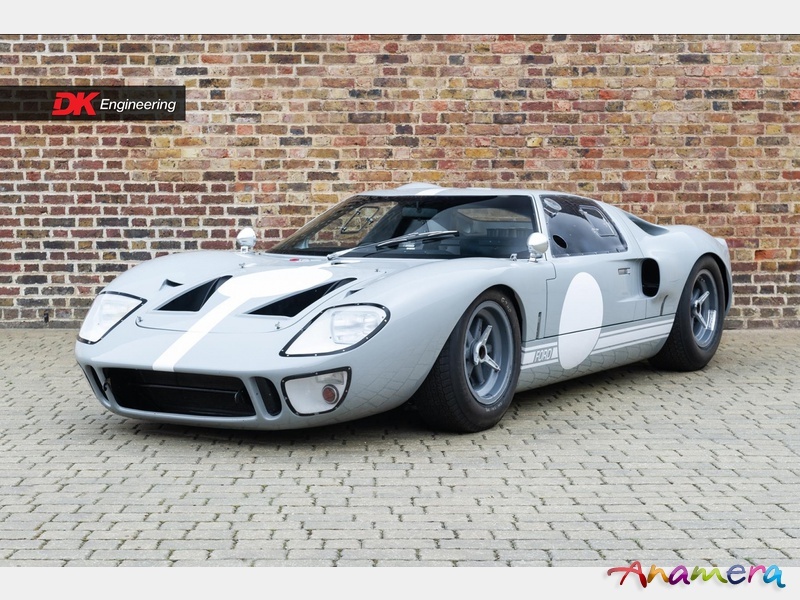 The Ford GT made its debut at Nurburgring in May 1964 and followed up the appearance with 24 Hours of Le Mans. The cars failed to finish both races, a devastating blow to Team Ford. 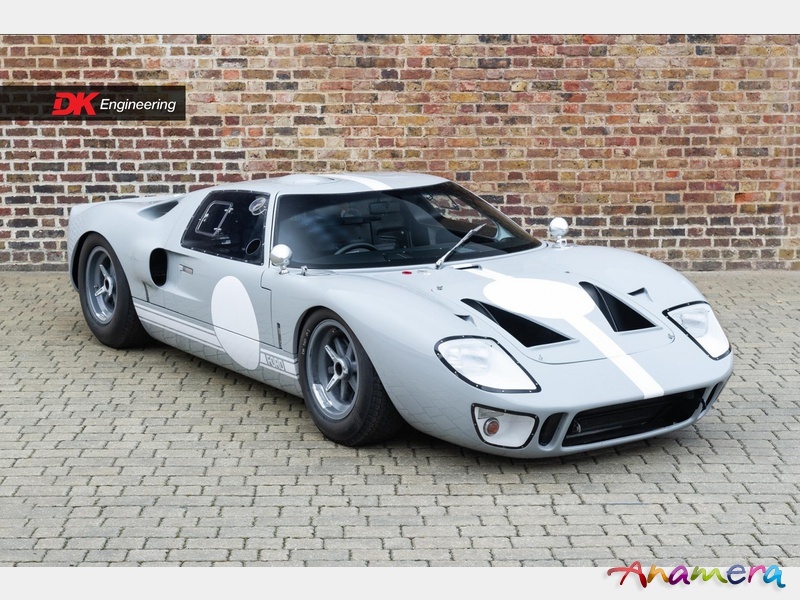 Although they were not successful at Le Mans in '64 or '65, their obvious potential led Ford to continue racing them and in 1966 Ford and the MKII made American racing history with a dominating one, two, and three finish over Ferrari at Le Mans. 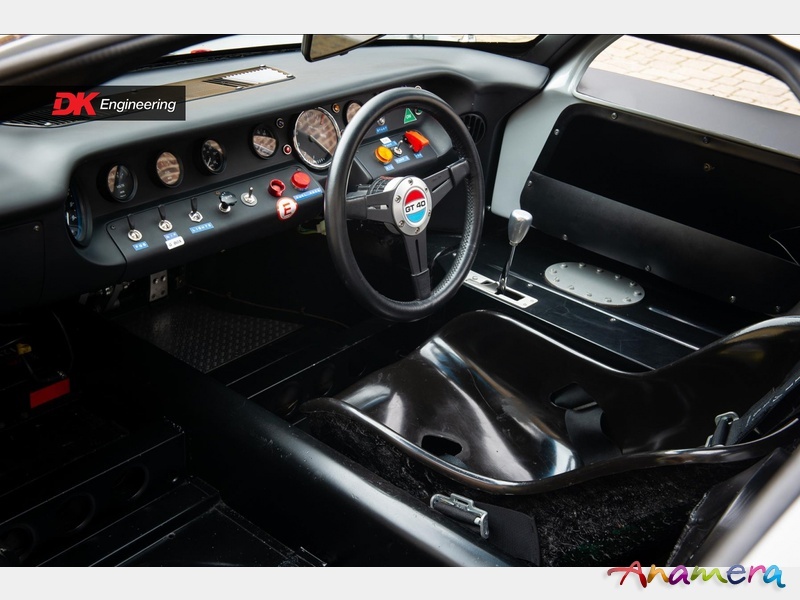 Around 100 Race Spec GT40s were completed and unsurprisingly these have become extremely valuable and highly sought after. 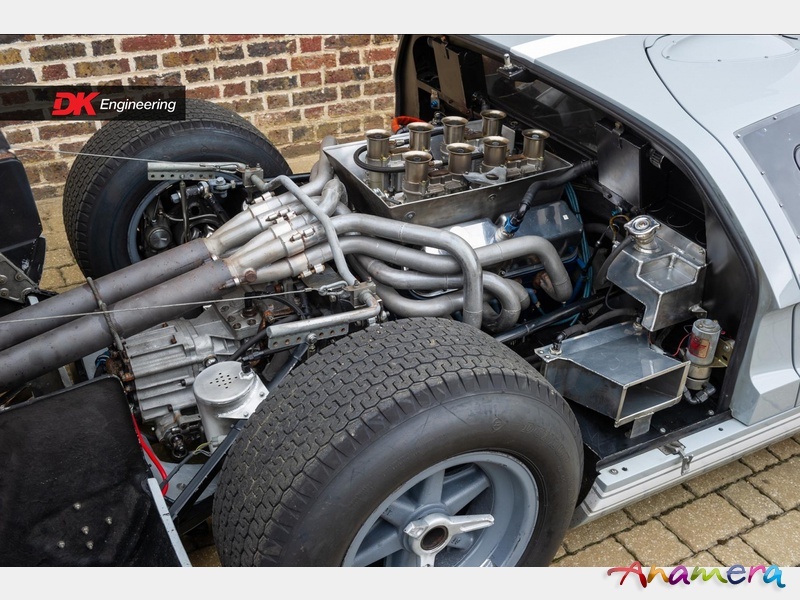 A number of High Quality Recreations have been built over the years, however the cars built by "Superformance" stand above the others as the ones to own. 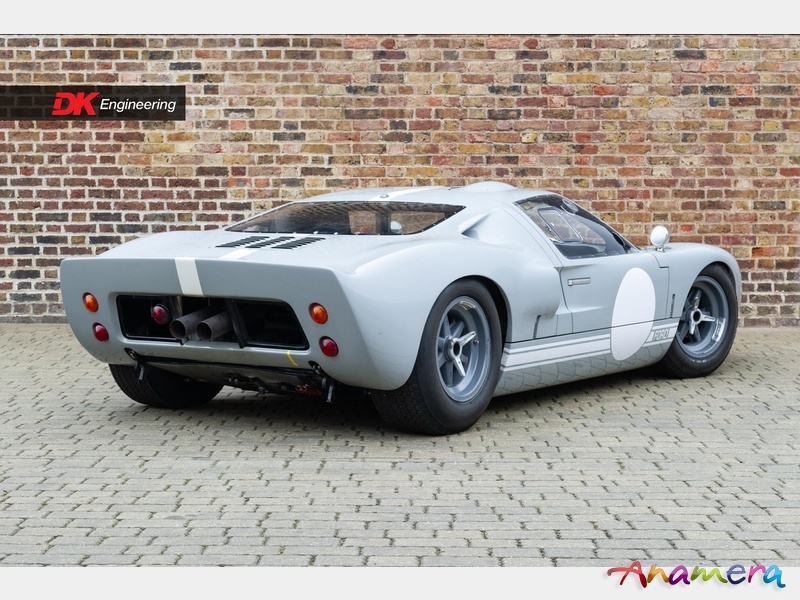 The Superformance GT40 is the only such later built car licensed and endorsed to use the name "GT40" as a true "continuation" of the original. 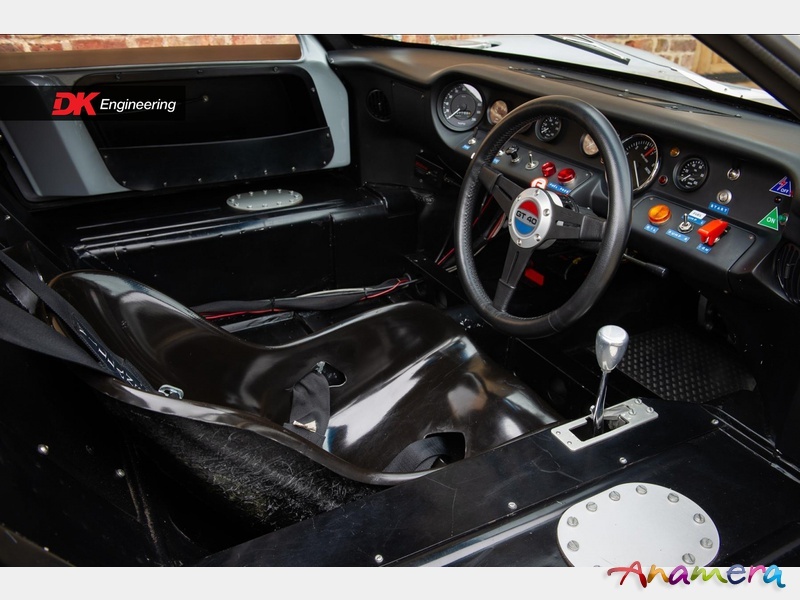 Each hand crafted GT40 carries the GT40 -P chassis number and is registry eligible. 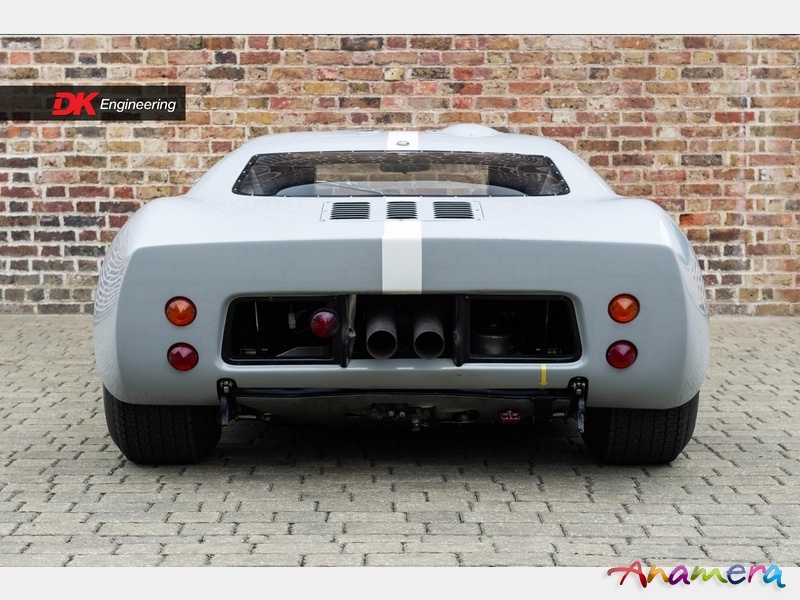 The chassis of these cars is an exact replication of the original monocoque unibody structure down to the press steel roof spider and is made up of over 244 laser cut and bent or pressed parts. The suspension features the original race car lay out. 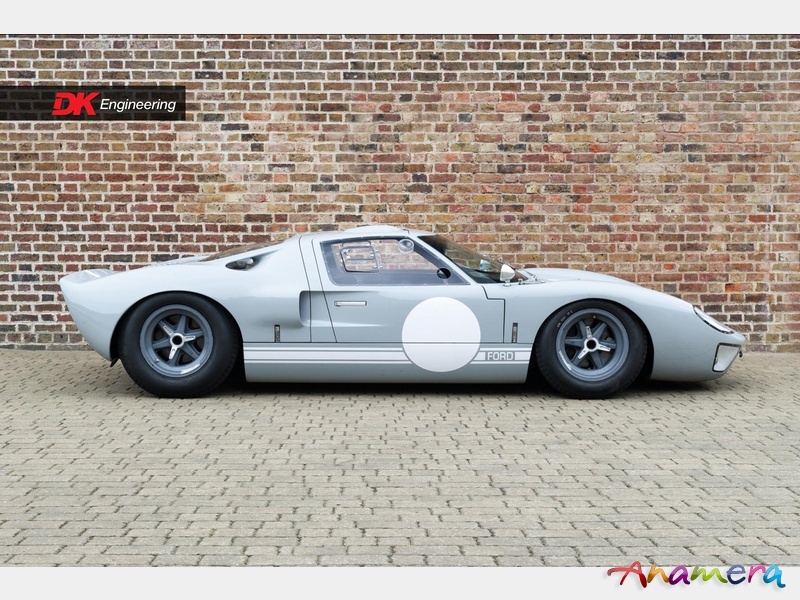 So original are the GT40 continuation models that two thirds or the parts are interchangeable with an original. 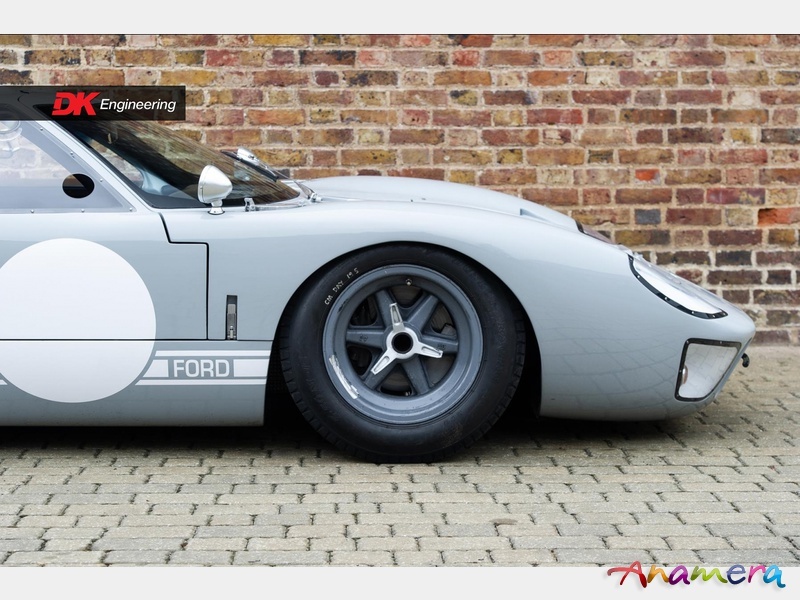 This stunning FIA specification GT40 was built using a genuine Superformance GT40 chassis and body built to full FIA Appendix K specification. Including all correct components, it is powered by the latest specification Steve Warrior 289 FIA engine. With just 3 hours on the engine, it produces 470bhp and impressive torque throughout. It is currently mated to a correct ZF gearbox that was rebuilt by Paul Fleming with a Gripper differential. Accompanied by a modest spares package including track day silencers and spare wheels, this example boasts valid HTP papers and is eligible for many historic events. It is finished in Porsche Sport Classic Grey, with a white stripe. 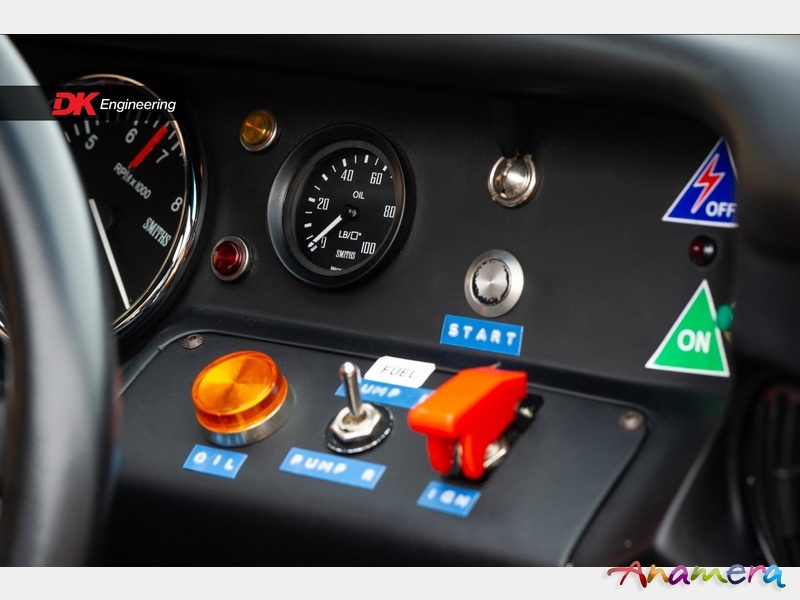 The car is UK registered and has been used sparingly since its delivery in 2009 and is presented in superb condition and is ready to be used and enjoyed immediately having been prepared for racing of late by Pearson Engineering.